In terms of marketing, things have changed dramatically over the last few years. Print isn’t in favour, traditional advertising is suffering, and often the small response you get doesn’t justify the amount spent. As a small business owner, you’re an expert in what you do, and you know that there are customers out there who would really benefit from your help. So how on earth do you get their interest? In the past, if a potential customer wanted information on your products or services he/she would call you and speak to someone to find out more. This just doesn’t happen as much any more. People will look for you on Google, check out your website and maybe sign up to receive more information from you. But really they want to know that you know what you’re talking about – they want valuable content. Today, effective marketing is all about creating high quality content and sharing this across the web. Businesses are increasingly using websites and blogs to demonstrate their expertise or ‘thought leadership’. By quality content I don’t just mean information that’s well-written or artfully produced. You need to educate your clients, show them best practice, tell them what to look out for, give them valuable tips on how to achieve success, demonstrate how you’ve helped others in their shoes, answer their problems, and open their eyes. So you need to create the type of information your buyers actually want. Creating and distributing this kind of relevant, valuable and compelling information will help you turn prospects into buyers and buyers into long-term fans or ‘brand advocates’. Marketing with valuable content is a win-win for your business and its customers – your potential clients get the information they want, and you get to show off what you know and what you can do, without the pushy sales messages. Valuable content will help you sell. It helps your ideal clients find you, and makes it easier for them to buy from you. It’s an opportunity to position your company as the “go-to” place to turn to when the time comes to buy. The valuable content approach is not about continuing to shout about how amazing your business is as. If you want to reap the rewards that content marketing brings, you need to start communicating differently.Yes, we all did the shouty stuff in the past! But things have changed, and now you need to unlearn what you know about sales and marketing messages. Your position shouldn’t be “look how great we are” (as in a traditional brochure) but “look how useful we are – we have the answers to your problems”. This approach is truly customer-centred, because you’re creating content that’s genuinely useful to your customers. Creating and consistently delivering this type of information takes effort. You need to build a deep understanding of the needs of your target client base and of where and how you add value. It also takes time and skill. Creating and sharing valuable content may not be easy, but it’s an essential tool if you’re going to grow and sustain a successful business in today’s web-driven world. 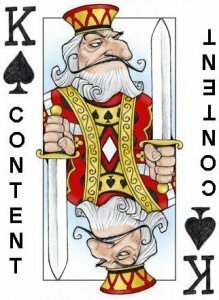 At Jo’s Correctional Facility we can help with content marketing. For more information, speak to us.